WikiHouse is an open source construction set that can be used to build homes and shelters. The website allows anyone to design, download, and print CNC-milled houses and components. Once printed, the units can be assembled with minimal skill or training. The free library is compiled from a community of designers from around the world that create and share their designs. Wikihouse has a plugin for the 3D modeling software 'SketchUp,' which can be used to generate cutting files for house parts. Users can then use a CNC machine to 'print' the parts from material like plywood. Houses can be assembled in as little as a day. 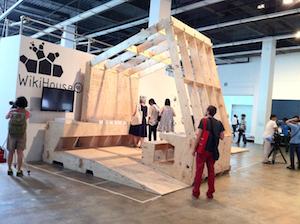 WikiHouse is an open source site and designs are available free of cost.